[From UC Akamai Workforce Initiative] - The Akamai Workforce Initiative’s Internship Program announces its Student Internship Symposiums in Hilo on Wednesday August 5 from 9 am to 11:30 am at the Institute for Astronomy Auditorium (640 North A‘ohoku Place), on Friday, August 7 at the Keck Observatory’s Hualalai Theater in Waimea and on Maui at the PDC Training Room on Monday, August 10 from 9:30 am to 11:30 am. 21 Hawaii college interns will present their summer projects with a follow up question and answer period. The public is invited to attend. The Akamai Workforce Initiative’s Internship Program is designed for all community college and university graduates in Hawaii and also kamaaina studying on the mainland, who are pursuing a career in science, technology, engineering or math (STEM) fields. The Hilo Symposium will feature Tuan Giang, Tina Li, Hannah Twigg-Smith, Luke Van Der Spoel and Darren Wong presenting summaries of their projects for the Institute for Astronomy, Gemini Observatory, Smithsonian Submillimeter Array and the Subaru Telescope. 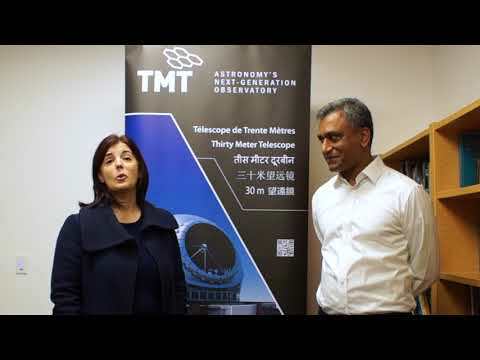 In addition Racieli Andrada, Paul Barnes and Jasmine Feliciano will present their projects with the Thirty Meter Telescope and Caltech Optical Observatories. The Waimea Symposium features Brittany Denzer, Kapono Gaughen, Mickie Hirata, William Kaeo, Brialyn Onodera, Alexandra Van Pernis and Raycen Scott Wong presenting their project summaries on their work at W.M. Keck Observatory, Canada-France-Hawaii Telescope, Big Island Abalone Corporation, Cellana and the Natural Energy Laboratory of Hawai‘i Authority. The Maui Symposium will feature Celina Bekins, Michael Gorman, Kourtney Kehr, Saxon Knight, Kevin Ryan and Derae Shibata presenting their project work at Air Force Research Laboratory, Akimeka and the Daniel K. Inouye Solar Telescope. The Pasadena Symposium on Monday, August 3 will feature Racieli Andrada, Paul Barnes and Jasmine Feliciano presenting their projects with the Thirty Meter Telescope and Caltech Optical Observatories. The Akamai Workforce Initiative in its 13th year provides college students with summer projects at observatories and other high tech companies in Hawaii. The goal of the program is to advance Hawaii college students in science, technology, engineering and math (STEM) workforce and increase underrepresented groups. Akamai uses a unique model that enables the current workforce to train the next generation with the skills and experience to be successful. The interns complete a 7-week project giving them valuable practical experience and professional coaching. The addition of this year’s 21 interns brings the total number of college students served by the Akamai program to 300. The Akamai interns received credit from UH Hilo and all begin their internships in Hilo with a preparatory course in June before spending seven weeks at various intern sites including TMT (Pasadena), Institute for Astronomy (Maui), Air Force Research Laboratory (Maui), Cellana (Kona), NELHA (Kona), SMA (Hilo), Daniel K. Inouye Solar Telescope (Maui), W.H. Keck Observatory (Waimea), Canada-France-Hawaii Telescope (Waimea), Institute for Astronomy (Hilo), Akimeka (Maui), Subaru Observatory (Hilo), Big Island Abalone Farm (Kona), Caltech (Pasadena), and Gemini Observatory (Hilo). The 2015 Akamai Interns include Racieli Andrada, Maui High and attending California Polytechnic State University; Paul Barnes, Hilo High and attending UH Hilo; Celina Bekins, Seabury Hall and attending Franklin W. Olin College of Engineering; Brittany Denzer, Kealakehe High and attending Colorado College; Jasmine Feliciano, Maui High and attending Worcester Polytechnic Institute; Kapono Gaughen, Kealakehe High and attending UH Manoa; Tuan Giang, Kaiser High and attending UH Hilo, Michael Gorman, Kamehameha Maui and attending Syracuse University; Mickie Hirata, Hawaii Preparatory Academy and attending University of Redlands; William Kaeo, Nanakuli High and attending Kapiolani Community College; Kourtney Kehr, Ponderosa and attending University of Colorado at Boulder; Saxon Knight, Homeschool and attending UH Maui; Tina Li, McKinley High and attending UH Manoa; Brialyn Onodera, Kamehameha Hawaii and attending UH Manoa; Kevin Ryan, Kapolei High and attending Honolulu Community College; Derae Shibata, King Kekaulike High and attending UH Maui; Hannah Twigg-Smith, Hawaii Preparatory Academy and attending Franklin W. Olin College of Engineering; Luke Van Der Spoel, Kealakehe High and attending Rice University; Alexandra Van Pernis, Hawaii Preparatory Academy and attending Brown University; Darren Wong, McKinley High and attending UH Manoa; and Raycen Scott Wong, Waiakea High and attending UH Manoa. Fifty percent of this year's cohorts are female and 32% are Native Hawaiian. The Akamai Workforce Initiative was originally developed by the NSF Center for Adaptive Optics at UC Santa Cruz in 2002. Every major telescope in Hawaii and many tech companies have participated. The Institute for Scientist & Engineer Educators at UC Santa Cruz leads the initiative, and funding for the 2015 Akamai Workforce Initiative program includes Thirty Meter Telescope International Observatory Corporation, University of Hawaii system, THINK Fund at the Hawaii Community Foundation, National Solar Observatory, National Science Foundation and University of Hawaii at Hilo. An RSVP is required to attend the various symposium events. Email ISEE@USCS.edu to reserve your seat.